When it comes to make-up, it’s commonly considered a mistake to go big on both lips and eyes. 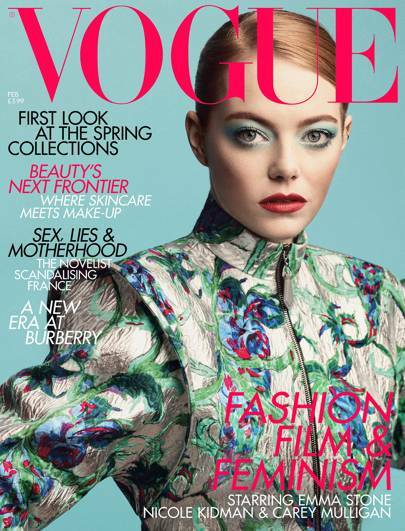 But for Emma Stone’s February Vogue cover, the opposite proved to be true. Goodwin worked alongside hairstylist Mara Roszak, fashion director Venetia Scott and photographer Craig McDean on the cover, which celebrates the Fashion, Film and Feminism issue. However the inside shoot, which is part of the magazine’s Hollywood portfolio, called for a very different look. 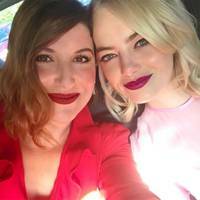 Goodwin has been working with Stone for 12 years, and was the talent behind the creative and colourful red-carpet looks worn by the actor throughout the 2017 awards season in which she was nominated, and took home the Academy Award, for her role in La La Land. Of course the 2019 awards season will be another busy one for Goodwin, with Stone already having picked up nominations for the SAG Awards, Critics’ Choice Awards and BAFTAs for her role in The Favourite, ahead of the Academy Award nominations later this month. She was, of course, the make-up artist behind Stone’s gorgeously glowy, peach-toned beauty look at Sunday’s Golden Globes.